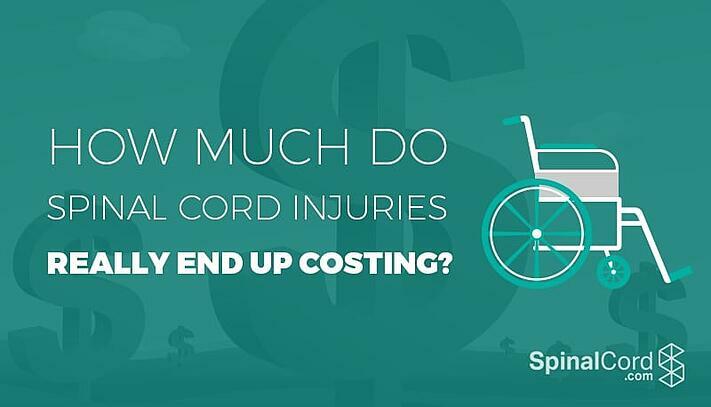 What's the Real Spinal Cord Injury Cost? Every year, 12,500 people survive spinal cord injuries. Most of these injuries are caused by car accidents (38%), followed by falls (30%), violence (14%), sports and other recreational activities (9%), medical errors (5%), and miscellaneous other factors (4%), according to the National Spinal Cord Injury Statistical Center. The catastrophic nature of these injuries, coupled with the ongoing and chronic nature of symptoms, means that most spinal cord injury survivors can expect to incur significant expenses. Though most injured people are concerned about medical costs, these expenses are just the tip of the proverbial iceberg. 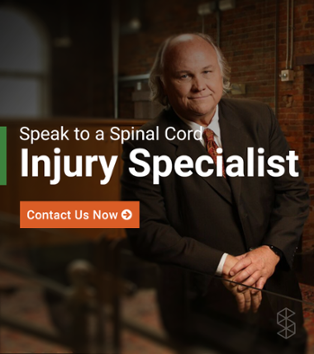 Whether you're planning to sue or just attempting to get a realistic portrait of what's ahead, knowing the real spinal cord injury cost can help you plan your next steps. For the first year, people with high tetraplegia can expect to pay about a million dollars for care. Low tetraplegia produces about $769,000 in medical expenses, while paraplegia costs about $518,000. Injuries that produce incomplete motor function at any level cost an average of $347,000. After the first year, costs tend to go down. Those with high tetraplegia incur costs of about $184,000 annually, compared to $113,000 for people with low tetraplegia. Paraplegia costs about $69,000 each year, while incomplete motor function produces the lowest costs, of about $42,000. It's easy to fixate on the astronomical medical costs associated with a spinal cord injury, but these expenses are just the beginning. Many spinal cord injury survivors travel to another town to receive treatment. Others need the assistance of loved ones who must buy plane tickets and stay at nearby hotels. These costs can easily add up to several thousand dollars. Entertainment in the hospital or rehab center; when you're not at home, you may spend more to entertain yourself. One year after the injury, just 11.7% of people with a spinal cord injury are employed. At 20 years post-injury, the figure is 35.2%. Consequently, the loss of earning potential is one of the most significant expenses for SCI survivors. In 2012, median wages were about $26,000. If we assume the injury occurs at the age of 25, and that the survivor otherwise would have worked until 65, this puts the loss in earning potential at just over a million dollars. Higher earners can expect to lose even more. Even if you are able to go back to work, you will still have to take time off to recover from your injuries. Unless your employer continues to pay you as you recover, you can expect to lose significant income. Mental health issues related to your injuries. These problems can inhibit your ability to make a living, and may also necessitate additional medical expenses. Long-term health issues. Spinal cord injury survivors are more likely to die young, and more likely to suffer from medical issues such as respiratory infections. Home modifications. Many spinal cord injury survivors must install elevators or ramps to make their homes accessible. Additional equipment, such as wheelchair-accessible vans. As you can see, the unfortunate fact is that spinal cord injury cost often extends far beyond the physical ramifications. When your job is to focus your energy on learning how to live life to the fullest again, the last thing you want to be worrying about is how to piece together the financing for the high cost of spinal cord injuries. Click the button below to download our free guide which will help explain they types of spinal cord injury cases which qualify for legal intervention.